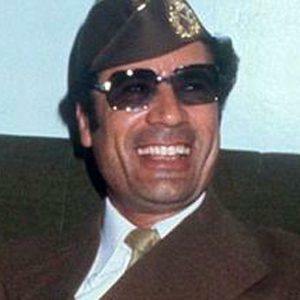 Ruthless Libyan president for more than 40 years who seized power from King Idris in a bloodless coup in 1969, when he was only 27. He was beaten and killed by NTC rebels after a civil war broke out in 2011. 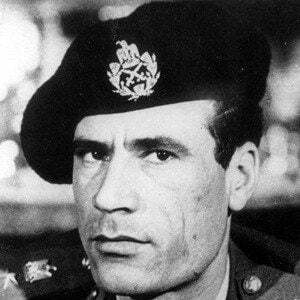 He attended the Royal Military Academy in Benghazi and was only a young lieutenant at the time he seized power. He travelled with his all-female Amazonian Guard who were also referred to as "the Green Nuns" because of the color of their uniforms and the rumor that they had been sworn to celibacy. He married twice, and his second marriage was to Safia Farkash from 1970 to 2011. His death was met with divided reactions from various world leaders. 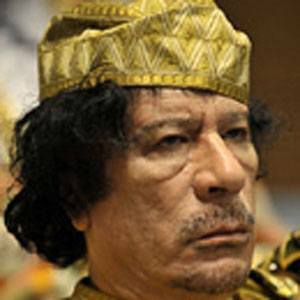 Some, like President Barack Obama, saw it as a step forward for Libya. Others, such as Venezuela's Hugo Chavez, instead praised the late leader.